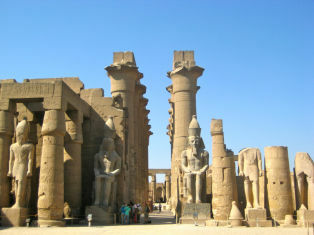 Indulge yourself and experience a Luxury Romantic Honeymoon in fantastic Egypt! 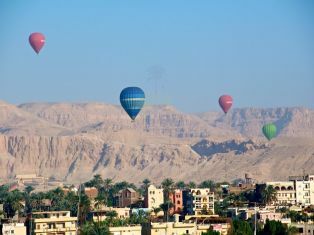 Stay at the fabulous Four Seasons Hotel in Cairo, cruise along the magical River Nile on board the Oberoi Zahra Nile Cruise, then relax at the luxurious Oberoi Sah Hasheesh Resort in the beautiful Red Sea. Breakfast at your hotel, then move to start your blissful day kicking off at Memphis; the ancient capital of Old Egypt during the Old Kingdom. 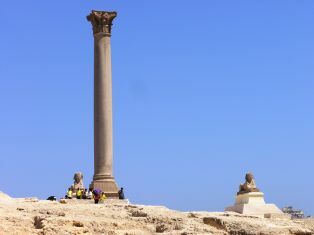 It was founded by King Menes. Poceed to the Step Pyramid at Saqqara which was designed by the architect Imhotep for his master King Zoser. Lunch at good quality local restaurant. After that, move to visit the enchanting pyramids of Cheops, Chefren and Mykerinus at Giza. Then proceed to visit the Great Sphinx, the head of a pharaoh with a lion's body, dates back to the time of Chephren. 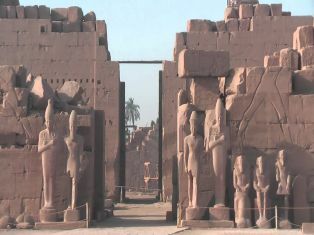 The tour also includes a visit to the Valley Temple which belongs to the Pyramids of Chephren. Back to your hotel and Overnight in Cairo. 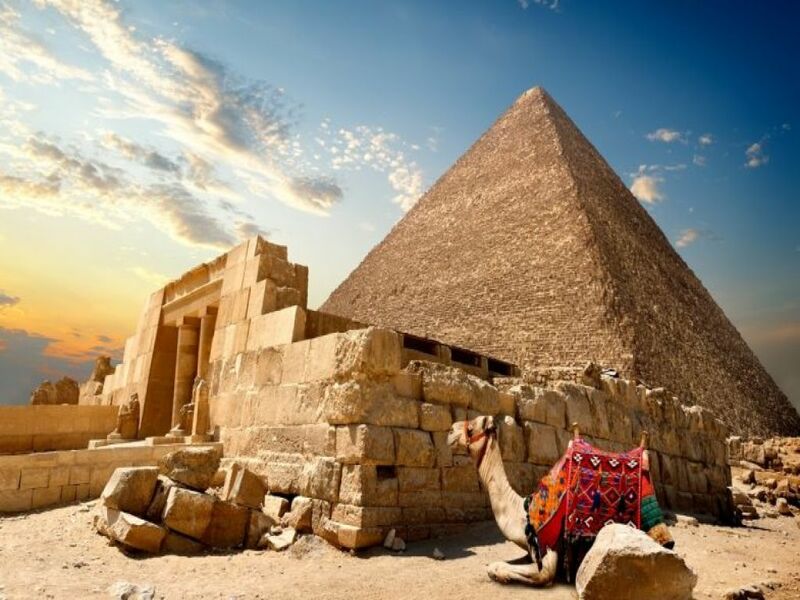 Breakfast at the hotel and then you will be escorted by your private guide to visit the Egyptian Museum, where you will admire the splendid collection of Tutankhamun alongside many other fascinating artifacts. Transfer to visit Salah El Din Citadel which was constructed by Salah El Din in 1183 AD to defend Cairo from the armies of Crusaders. After that visit Mohamed Ali Alabaster Mosque, the ruler of Egypt (1805-1849) who ruled Over 45 years. Lunch will be served in a local restaurant. 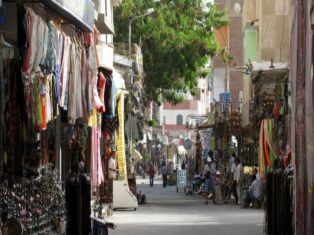 Continue driving to the area of Islamic Cairo, where you will be able to explore Khan El Khalili, Cairo’s old bazaar. Then we move on to Coptic Cairo to visit the Hanging Church, Ben Ezra Synagogue and back to hotel and overnight in Cairo. After breakfast, transfer to Cairo International Airport for flight to Aswan. On arrival at Aswan International Airport, you will be met and assisted by our memphis Tours Representative and transferred to your Oberoi Zahra Nile Cruise for embarkation. 7:00 a.m. - Transfer to the West Bank, to explore the West Bank of ancient Thebes. 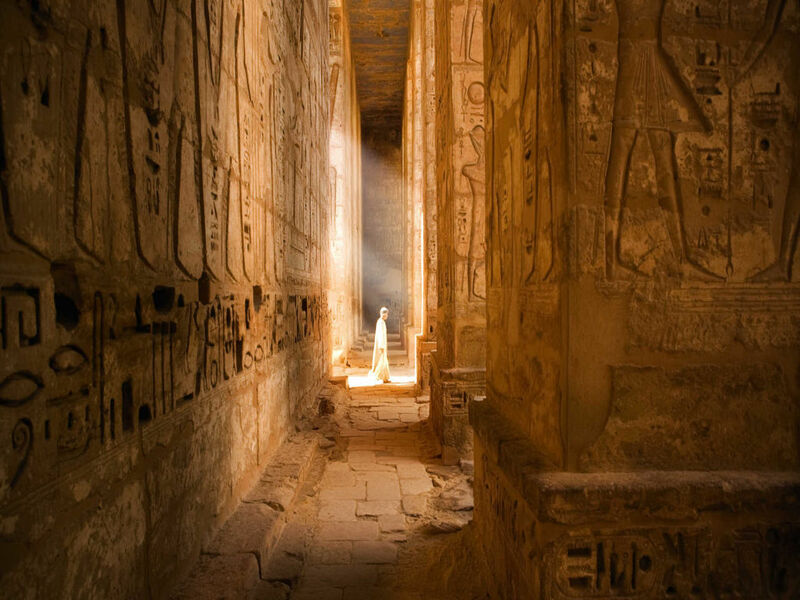 Visit Valley of the Kings, with its royal tombs, King Tut's tomb, Ramses "the Six". 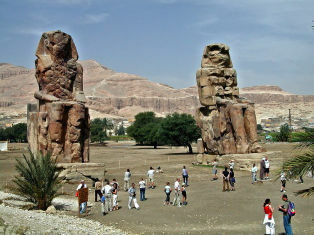 This is followed by a visit to The temple of Madinat Habu and on the way back stop at the Colossi of Memnon. 3:30 p.m. -Visit to the Temple of Dendara, dedicated to Hathor, Goddess of Music, Love and Joy. 6:30 to 7:30 p.m. Farewell Reception with live music at the club lounge. After breakfast, you will be escorted by your Representative to an air conditioned vehicle for the short (approximately) 3 hour drive to Sahl Hashish, taking in the sights of the dry and sometimes mountainous landscape of the sand cliffs. On arrival at Sahl Hashish, you will check in to your luxury Oberoi Hotel in Resort for a relaxing day and evening. The Sahl Hasheesh Oberoi Hotel is in the best location for total relaxation, pampering and sheer luxury at this 5 star retreat. Only 30 minutes from Central Hurghada, it is close enough for day trips and adventures, yet at the same time a good distance away for peace and quiet. 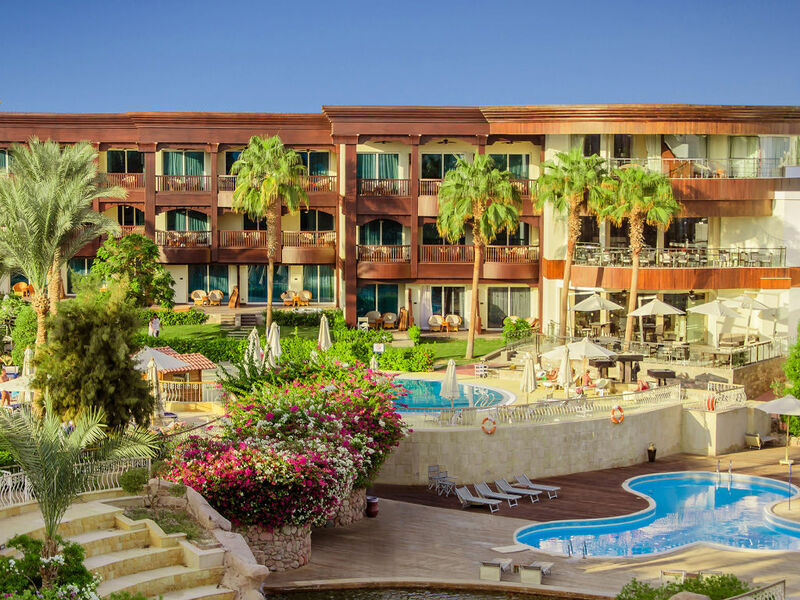 Quite literally, the Oberoi Sahl Hasheesh is one of Memphis Tours finest and newest partner Hotels with a wonderful record of guest satisfaction.Your deluxe hotel includes spa and fitness facilities along with swimming pool, sundecks and sea views. Overnight at your Hotel. A full day of relaxation at this peaceful upmarket resort with many things to do in and around the Hotel as well as optional tours. You can opt for diving and snorkeling experiences ( famous in the Red Sea), to canyon and cave adventures out in the sandy desert region. Jeep Safaris and Quad Biking tours are available during the daytime. A highly recommended evening excursion is into Hurghada to see the A Spectacular evening of Dance, Music, sound and lighting in this incredible and traditional evening of pure entertainment! Tonight you will go for amazing Arabian Night ‘Alf Leila Wa Leila’ (means ‘1001 Nights’),in a unique setting of oriental architecture of colorful domes, high pillars and towers, huge gates, fountains, marble paths, and the never ending fantasy of Egyptian charm. An informative evening where you will discover more about the life of the Pharaohs and Bedouins, and also about customs and traditions of the region. Overnight at Hotel. Last day to enjoy the sea resort scenery and prepare to transfer back to Cairo via Hurghada. You will be transferred to Hurghada Airport ( less than 30 Minutes) from Sahl Hashish by air conditioned vehicle. 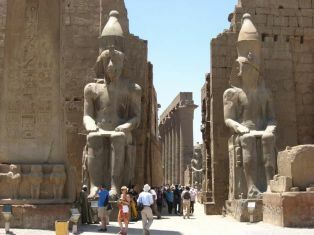 then flown to Cairo International Airport where you will be escorted to the International Terminal for your flight home. 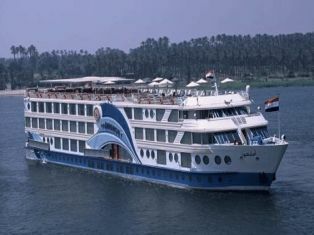 Accommodation for 7 nights on board Oberoi Zahra Nile cruise on full board basis. 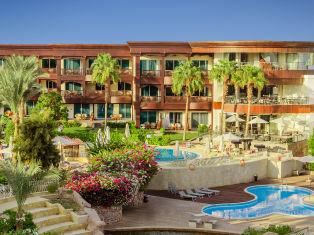 Accommodation for 3 nights in the Oberoi Sahl Hasheesh Resort Hurghada including daily breakfast.